I believe that foot speed and quickness is trainable in young athletes. 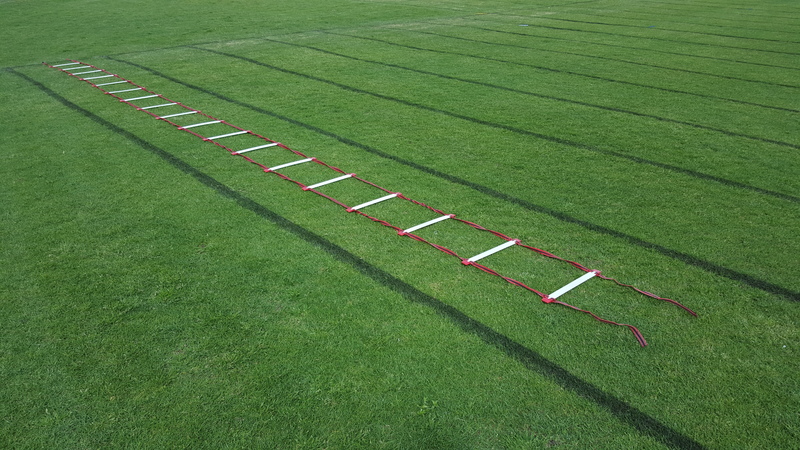 One piece of training equipment that is useful in developing these qualities is a quickfoot ladder, also known as an agility ladder or a speed ladder. There are many, many drills that can be performed through the ladder from those that are simple to some that are quite complicated and advanced. The ladder allows for forward stepping, side-stepping, hopping, jumping, etc, as well as combinations of these. 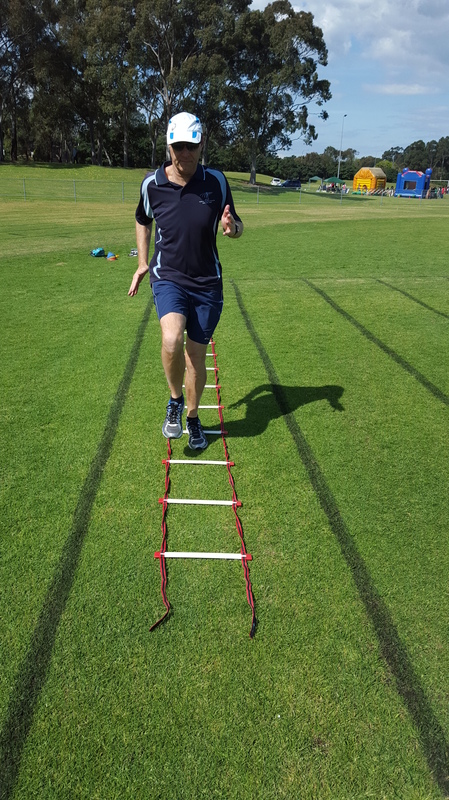 The drill that I find to be most popular amongst young athletes is a timed quickfoot ladder run. For this activity, the only equipment required is a ladder and a stopwatch. The athlete can begin with a stationary standing start or a jogging “flying” start. (Let the athletes experiment). The stopwatch stops on the first step out of the ladder. The athlete must step in every space. The athlete must step in each space only once. A missed space = no time recorded. Apart from this being a really enjoyable and challenging activity for the athletes, I find that it is fantastic for developing coordination, quickness of movement and concentration. I don’t insist on good sprint mechanics during this activity. I simply want the athletes to move through the ladder as quickly as possible. Young athletes really enjoy keeping and trying to better their personal best time for this activity. Keep an ongoing record of these. 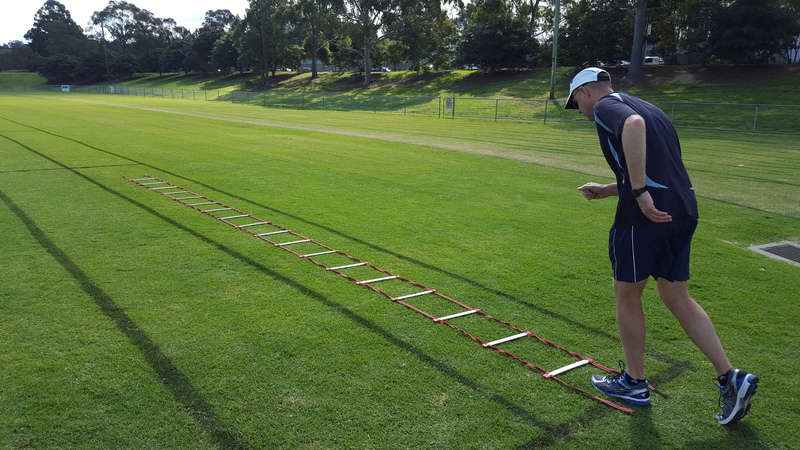 Use a timed quickfoot ladder as a regular performance test. Try this activity with your team or training group. I guarantee that it will be popular. Do you use quickfoot ladders? What do you think of them? Do you have any favourite activities using them? Let me know by leaving a reply/comment.